Alden Graves knows what it feels like to have the game she loves suddenly ripped away from her, and she’s not taking it for granted. Her junior season ended suddenly in the first round of the 3A state playoffs when she tore her ACL. The Lady Wildcats fell in the next round. For Graves, the basketball court has always held a tinge of loss, but also great love. Graves lost her brother when she was 8, and then her father passed away just under two years later. The loss of the influencers who led her to love basketball have made that love for the game bittersweet at times. “Those trials have taught me to be strong and to be the person and player I am today,” she said. Graves, a senior shooting guard for the Lady Wildcats, was selected to this year’s 501 Basketball Team — 34 players representing the best the 501 has to offer both on and off the court. The team is sponsored by Conway Ortho and Sports Medicine, Conway Regional Health System and First Security Bank. Graves was nominated by Garner. Last year in her junior campaign, Graves averaged 10.3 points per game, making 40 percent of her 3-point attempts. She has made more than 200 3-pointers in her career and scored more than 1,000 points. She’s also an 80 percent free throw shooter. Graves’ value for the Lady Wildcats extends beyond just game day. “As a coach, you want players you can trust in the classroom, away from school and on the floor,” Garner said. “We trust Alden. She will lead our team in word and in deed. Alden works the Micah Rine Wildcat Legacy Race each year honoring the late Micah Rine, a former Lady Wildcat. She is a ‘big sister’ to Pre-K kids on our campus. 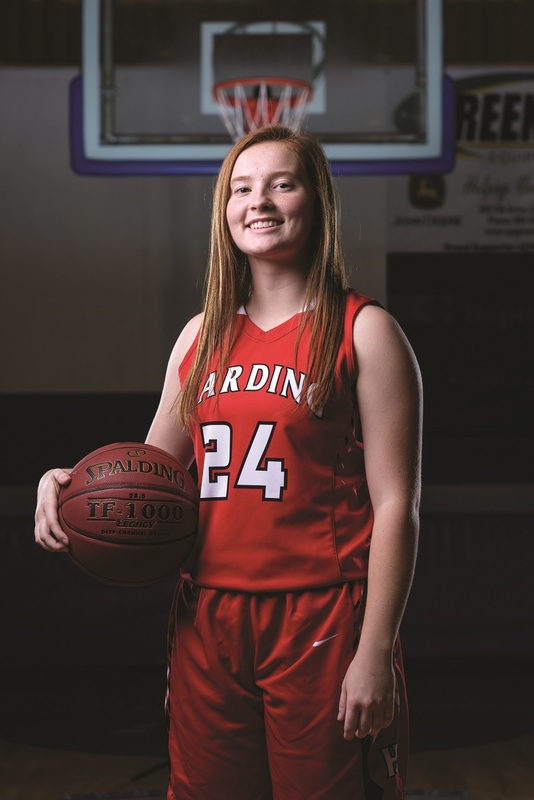 After winning a 3A regional last season but exiting early in the state tournament due to injury, Graves is on a mission to finish her Harding Academy career with no doubts. Graves and the Lady Wildcats (5-0) play at cross-town rival Riverview at 6 p.m. Friday.